Nowadays, email is one of the most convenient and widely used ways to communicate. Of course, emails aren’t always secure. After Edward Snowden’s leaked information, it became clear for many users that email messages are an easy target for eavesdroppers. When the extent of the surveillance programs carried out by government organizations like the NSA and GHCQ was revealed, the general public became aware of the threats to private information. As such, secure email services Lavabit and Silent Circle decided to shut down their services instead of allowing the government to gain access to their customers’ information. The nature of email protocols make them vulnerable to data leakages and being intercepted. This is especially true since the email message sits on a server until it is retrieved. End-to-end encryption is required to prevent snooping while it reaches its destination. The sender and the recipient need to have the same encryption system. While these systems are available for free, they are difficult to setup. Furthermore, you need to trust that the recipient of your message implements the system as well. Otherwise, the message will not be secure no matter how cautious you are on your side. Email messages could be easily compromised, making them a less than ideal method for sharing confidential information. 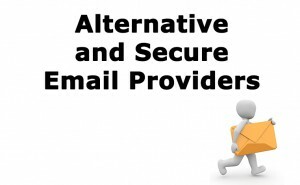 However, there are options to protect your email communications. Thanks to encrypted email services like ProtonMail, you can keep your email communications private and secure. ProtonMail was launched recently, but it has already gained recognition among users that are looking for an effective way to protect their privacy. It started as a project from a group of scientists at CERN |(European Organization for Nuclear Research), who shared their concern about online privacy. They put their extraordinary skills together to create a secure email service. As such, ProtonMail aims to provide end-to-end encryption to protect emails from third-party monitoring. The service has become popular in a short period of time thanks to its commitment to defend users’ privacy. To ensure that the service is safe from NSA infiltration, ProtonMail manages its own network and keeps all its email servers in Switzerland. It actually had an extremely successful Indiegogo campaign in which the company exceeded its initial expectations and ended up getting 550% of its goal. ProtonMail stands out from other secure email providers as there’s no setup, making it easy to use. ProtonMail also offers end-to-end encryption that takes place at the user’s level, meaning that ProtonMail cannot access the original content. When the email message gets to the ProtonMail servers in Switzerland, it’s already encrypted and can only be accessed using the recipient’s email password. 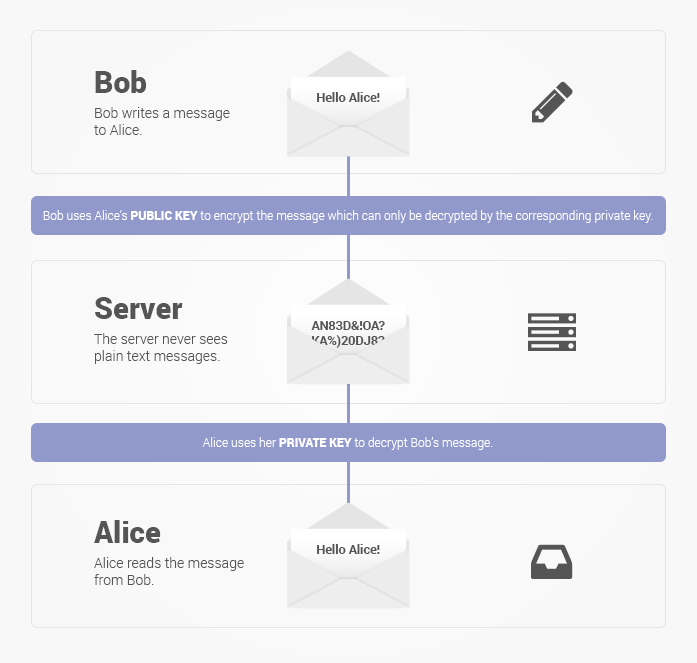 Unlike traditional services like Gmail, ProtonMail cannot decrypt any email that passes through its network. This ensures that even if authorities request them to provide access to these email communications, ProtonMail would not be able to hand the keys over, since it doesn’t even have them. The fact that ProntonMail is a project financed through crowd funding instead of private investors, allows it to remain independent and community based. While the service can be used for free, users that want additional storage can pay a little extra. This ensures that ProtonMail can continue operating and expanding its infrastructure. While ProtonMail is a new comer, the truth is that it has become the leading name in this area thanks to its strong commitment to online freedom. With its advanced technology, strategic location and growing popularity, ProtonMail is bound to be one the best allies for internet users that want to defend their right to privacy. ProtonMail is the top option when it comes to secure and encrypted email providers, but there are other solutions available. The below are alternatives to ProtonMail that can also help you to protect your privacy. TorGuard.net – Offers Encrypted Email, Proxies, VPN. Your privacy should belong only to you and since email messages are used to share information, documents and pictures that are important, using a secure email service is the best way to ensure that your communications are not intercepted by third parties. Opening a letter that is not addressed to you is an invasion to privacy and the same applies to email messages. For security and protection of your personal information, it is worth considering using an encrypted email service. There are plenty more steps to strengthen your online privacy and security.